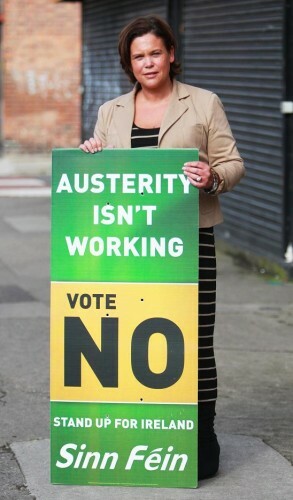 I thought Sinn Féin would feel bad if I left them out of my poster-making, so here’s one for them. Template included so go make your own – it’s fun! Here’s the original for reference, in the hands of the ever-glamorous Mary-Lou. And of course, as promised, a template for you to make your own, have fun and watch out for papercuts if you print it!